After chatting with him online since 2009, Mikko from Dawn of the Lead visited recently. We played some games (NINJAS vs PIRATES!) and he blogged about them here. Source: Super pop culture showdown! 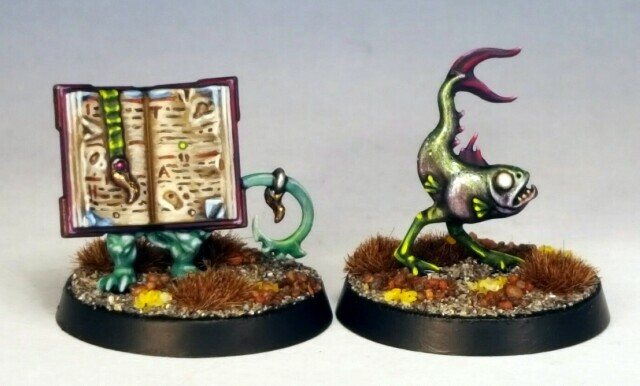 The first two completed models for my Silver Tower project are these two Familiars, Blot (the book) and Slop (the fish). Nothing defines the fantasy genre like a dungeoncrawl. Huge battles with ranks of elves and trolls and the like are all well and good, but a sweaty barbarian kicking down a wooden door and murdering a load of goblins and stealing their wallets is genre defining like no pitched battle can ever be. This is a bucket list desire for me. 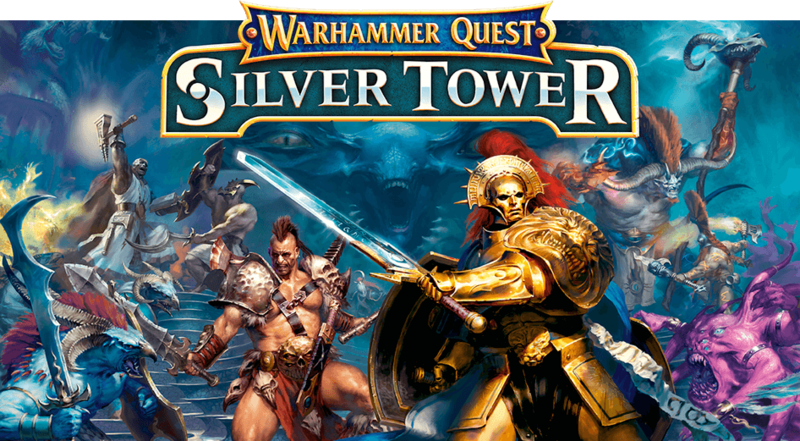 So it was time for a Silver Tower project. I wanted some cavalry for my Shonen Knives force. 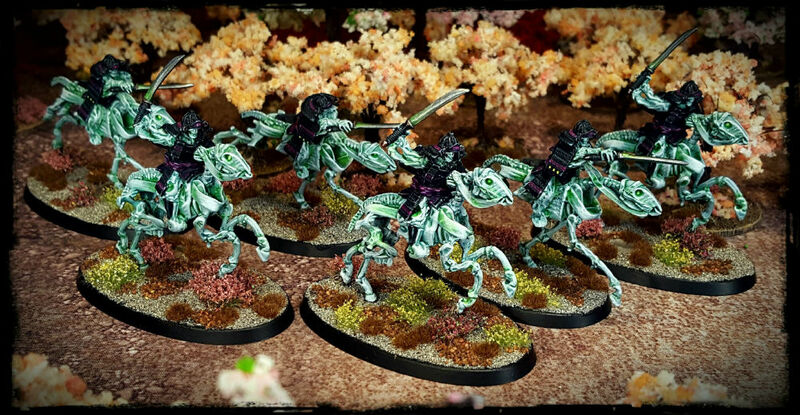 The first suitable figures that I got my hands on were these living impaired, mounted samurai from Slave 2 Gaming. Fantasy battles dont look quite right to me unless they feature huge monsters and cavalry charges, so I needed some cav as a matter of priority. Cavalry use a few rules in Dragon Rampant that make them extra interesting, so I decided to batch paint the six of these models together. That was a mistake. Six cavalry together is too large a group to paint at once for me, so it was hard work. At least now that they are finished I have a full, six strong unit of Ghost Riders. But I wont be painting cavalry models in multiples like that again any time soon. Maybe two at a time, but thats it. They are finally ready to get on the table and game with though, thats the main thing. These figures – plus the recent daidarabotchi – is the first of six army submissions for a group project that I am part of on Facebook. Those of you who remember the “Tale of Four Gamers” series from 90s White Dwarf (and recently resurrected on GW social media) will know the format. It boils down to this: I have to have an armys worth or models painted over the next six months. As Im painting figures for my Shonen Knives, with a plan to play some Dragon Rampant with them, Im dividing each month up into 4pts, making a total of 24pts, the standard size DR game. The six horsemen plus the golem make 10pts, so I am ahead of schedule for now. That gives some breathing space after painting those guys.